The BIGS elevates America�s favorite pastime to new heights with larger-than-life ballparks, heroic gameplay and incredible player models. Setting this MLB� experience apart from anything you�ve ever seen before are spectacular power-ups, stunning special effects, and a totally unique career mode. 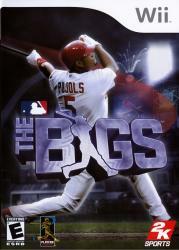 Featuring fantastic pitching, batting and fielding animations, The BIGS brings new meaning to the term highlight reel.